It has been the lot of other nations to have their legislators, their parliamentarians, even their kings put on the uniform of soldiers and go forth to battle and meet a patriot’s death, but so far it has been the lot of Canada only once. George Harold Baker was the only sitting Canadian Member of Parliament killed in action during the First World War. Born in Sweetsburg, Quebec on 4 November 1877, Baker was Conservative MP for Brome (1911—1916) and commanding officer of the 13th Scottish Light Dragoons. He died in the battle of Sanctuary Wood on 2 June 1916. He is commemorated with a life-sized bronze statue in the Centre Block of the House of Commons. Indeed, six months on the front began to take a noticeable toll on Baker. 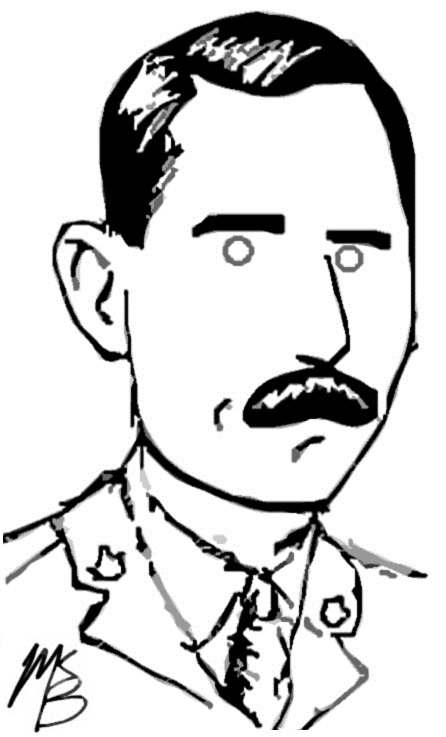 “I almost think I would rather be a private,” he explained, “The responsibility of a thousand men is great… This game does not make a man younger.” He was killed two months later during heavy enemy bombardment of the Canadian front line. In May 1919, a parliamentary committee organized to consider an appropriate memorial for their fallen member. What began as a simple bas-relief sculpture soon evolved into a life-sized statue. 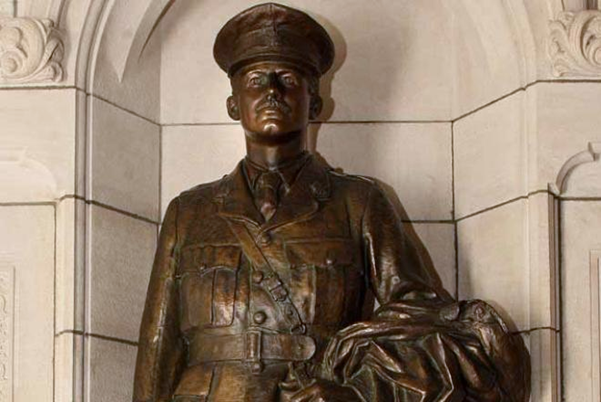 Designed by R. Tait McKenzie, the monument was intended to be “representative of an idealized type of Canadian officer.” On 29 February 1924, Governor General Lord Byng unveiled the bronze statue before assembled parliamentary leaders and guests in Centre Block. Prime Minister Mackinezie King emphasized, “It is personal in character, but it is also essentially symbolic.” He explained that the memorial not only honoured Baker but also all the members of the House and Senate who had served in the war as well as the sons of MPs killed in battle.